let us honor the earth and be thankful for her gifts. Lammas is the first day of autumn on the Celtic calendar. 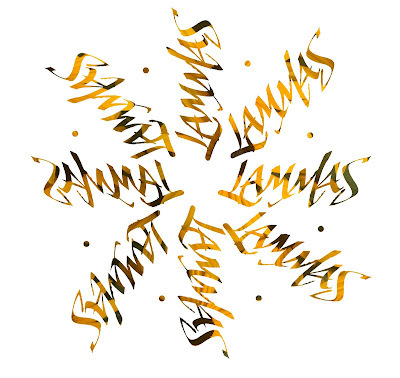 Lettering of the word LAMMAS was done with a 3.8 mm Parallel pen. The word-image was created in photoshop and then screened with a photo of black-eyed Susans.